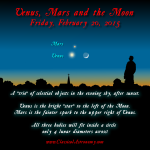 The planet Venus is the third brightest object in the sky, after the Sun and the Moon. 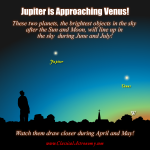 It’s a very common sight to see Venus blazing brightly in the sky as the “Evening Star” after sunset, or as the “Morning Star” before sunrise. 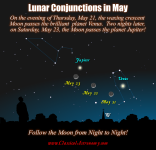 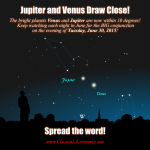 Jupiter and Venus Draw Close! 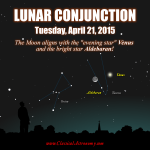 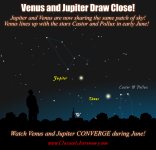 Venus and Jupiter Draw Close!